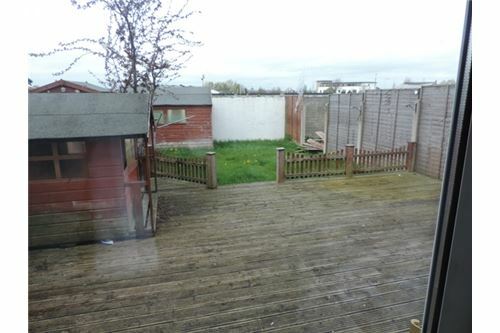 CONDITION – IDEAL FIRST TIME BUYER OR INVESTMENT PROPERTY. The property briefly comprises of a spacious living room, ground floor wc, open plan kitchen/dining room, 3 bedrooms including master ensuite and main bathroom. Built approx. 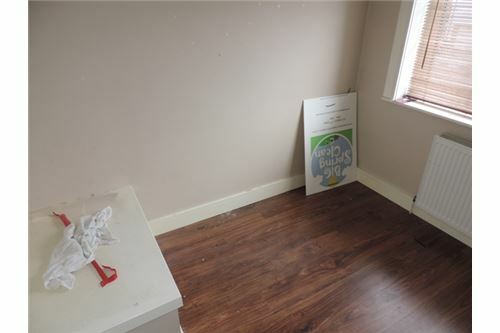 15yrs this house would benefit from some light decorative work but is overall in good condition with contemporary fixtures and fittings throughout. All windows are double glazed and the heating is gas fired. The property is located at the end of a cul de saq and sits on a generous site with a long front lawn and driveway , to the rear is an equally impressive garden and deck area with two Barna sheds. 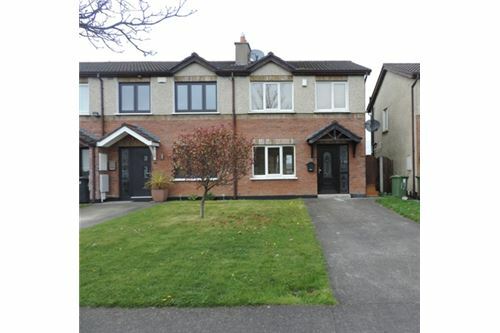 Great value first time buyer home or equally suited to investors looking for a good return, similar properties in the area have been achieving rents of around €1700 p/month. Conveniently located just off the New Nangor road, close to the M7 and M50 motorways, Liffey Valley Shopping Centre, Clondalkin village and Citywest. Light fitting, recessed lighting, feature fireplace with a wrought iron insert, tiled inset and polished hearth, blinds, walnut flooring, TV point, double sliding doors leading to kitchen. Recessed lighting, tiled splash back area, steel sink, area plumbed, porcelain tiling. Light fitting, attic access, carpet. 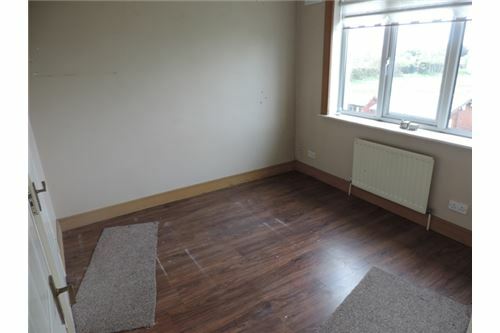 Light fitting, blind, laminate wood flooring. Light fitting, extractor fan, floor tiling, shower cubicle, WC, WHB. 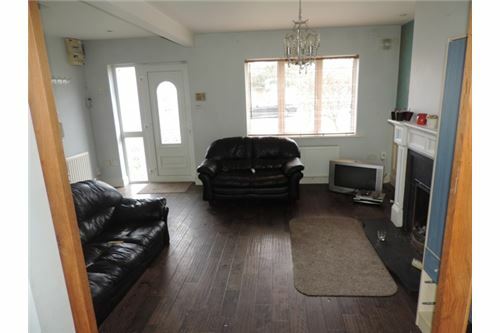 ACCOMMODATION: HALLWAY: SITTING ROOM:	c. 5.01m x 4.37m Light fitting, recessed lighting, feature fireplace with a wrought iron insert, tiled inset and polished hearth, blinds, walnut flooring, TV point, double sliding doors leading to kitchen. KITCHEN: c. 3.27m x 5.02m Recessed lighting, tiled splash back area, steel sink, area plumbed, porcelain tiling. 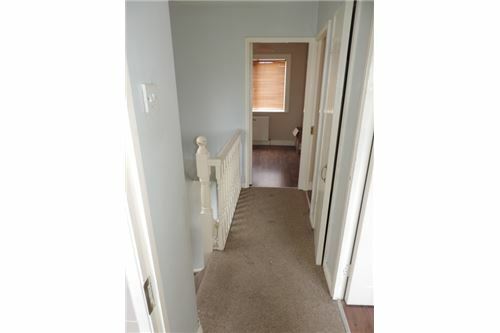 LANDING: c. 1.9m x 2.3m Light fitting, attic access, carpet. BEDROOM 1:	c. 3.13m x 2.85m Light fitting, blind, laminate wood flooring. 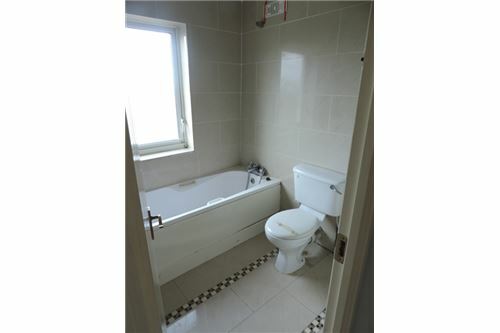 ENSUITE: c. 2.28m x 0.84m Light fitting, extractor fan, floor tiling, shower cubicle, WC, WHB. 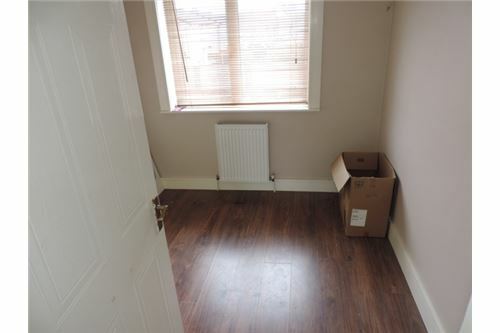 BEDROOM 2:	c. 3.02m x 3.67m Light fitting, blind, laminate wood flooring. BEDROOM 3:	c. 2.76m x 2.38m Light fitting, blind, laminate wood flooring. BATHROOM:	c. 1.87m x 1.83m Recessed lighting, WC, WHB, bath, porcelain tiles on walls and floors. Recessed lighting, WC, WHB, bath, porcelain tiles on walls and floors.